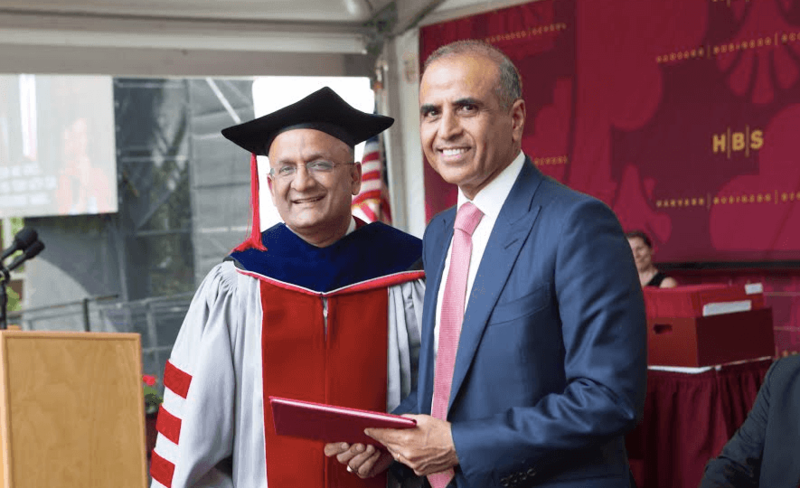 Sunil Bharti Mittal, Founder and Chairman, Bharti Enterprises has received 2016 Harvard Business School Alumni Achievement Award for his contributions to the companies and communities. Started in 1968, HBS presents this award to the outstanding alumni who contributed valuable services to companies and communities. “I want to thank the Awards Committee for conferring this prestigious honor upon me. Having served on the HBS Board of Dean’s Advisors since 2010, I can state that the School continues to lead in producing world-class business leaders,” he added. Sunil Bharti earlier received Padma Bhushan, one of India’s highest civilian awards. He has also been awarded the INSEAD Business Leader for the World Award 2011 and the Global Economy Prize 2009 by The Kiel Institute, Germany. The US-India Business Council also honored him with the ‘Global Vision’ Award 2008. Sunil has received the GSM Association Chairman’s Award for 2008. Substantiating his contributions to different sectors, Sunil Bharti adorns various positions in national and international bodies. He is the first Vice-Chairman of the International Chamber of Commerce (ICC). He serves on the India’s Council on Trade & Industry, Chairman – World Economic Forum’s (WEF) Telecom Steering Committee and Member of International Business Council – WEF, Telecom Board of International Telecommunication Union (ITU), Commissioner of the Broadband Commission and the Singapore Prime Minister’s Research, Innovation and Enterprise Council, listed out a press release by the company. Sunil Bharti is the Co-Chair of the India-Africa Business Council and India-Sri Lanka CEO Forum as well as member of the India-US, India-UK and India-Japan CEO Forums. Earlier, he served as the President of the Confederation of Indian Industry (CII, 2007-08), the premier industry body in India.